How many times do your children want a grilled cheese sandwich and you stand at the stove making one sandwich at a time? Tons of times, right? Me, too. Well, recently I was talking with lady at church who works in a school cafeteria. She mentioned they served grilled cheese sandwiches that day. "How in the WORLD do you make THAT many grilled cheese sandwiches?" I asked. That's when she shared this recipe with me- you bake them in the oven!!!!!! 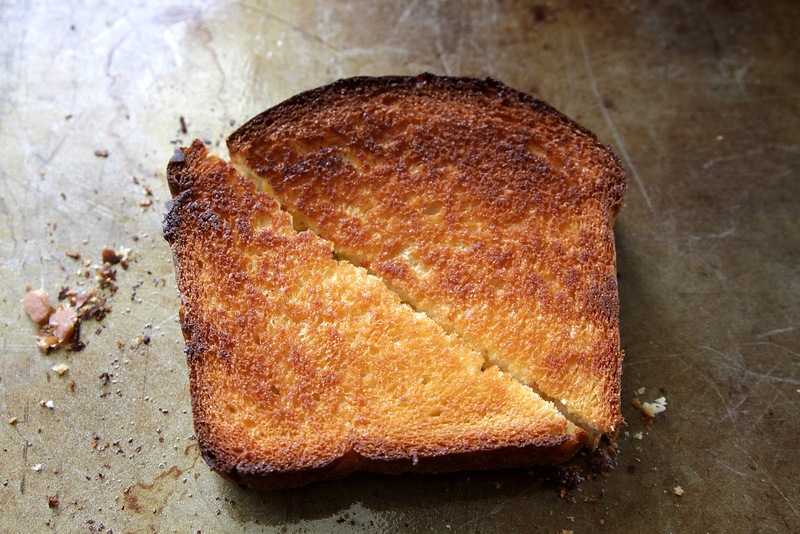 I heated the oven to 425 degrees then spread each slice of bread on one side only with butter. I laid the buttered side down for 1/2 the bread slices and then place my cheese on top. I put the rest of the bread on top with the buttered side facing up. I baked them in the oven for about 7 minutes, then flipped them over and baked another 6 minutes (but watch your oven- temps vary!!!!) They each came out DELICIOUS!!! By far the EASIEST "grilled" cheese sandwiches I've ever made!!! That is the way my grandmother always made them. Mom said with five farm children, three of them boys, this was the only way to get her crew fed! I make them on my family size griddle too - that works really well.